We are absolutely delighted to announce the arrival of the first whiskey ever 100% produced in Puerto Natales! It is a rather unconventional Hopped White Whiskey, made possible by the lovely guys from one of the local breweries, Cerveza Natales. They kindly supplied 30L of their classic schop, and after a little more than 24 hours of drip-by-drip distilling we have our first whiskey! But what do you do with hopped white whiskey? On its own, our whiskey has a fresh, slightly citrusy nose with hints of creamy malt and freshly cut grass. It tastes sweet at first, before a rye-like spiciness builds and crescendos with the herbaceous hop flavours, followed by green-tea notes and more oatmeal-like sweetness. The finish is long and lingering, filled with beer-warmth and IPA-crispness. 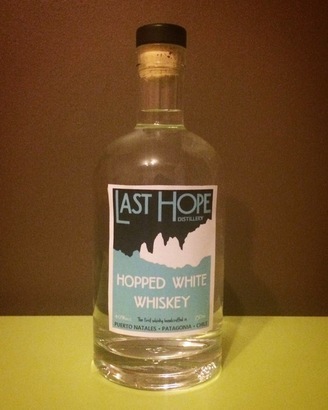 Our hopped white whiskey is not dissimilar to what are called ‘New American Style’ Gins. These gins are much lighter on the juniper and instead present a bouquet of other lighter and often floral botanicals. They make beautifully delicate G&Ts, or martinis, especially when thoughtfully garnished (if you’ve ever put cucumber in a Hendricks you’ll know what I am talking about). Even from the dark depths of Patagonian winter this drink screams summer. 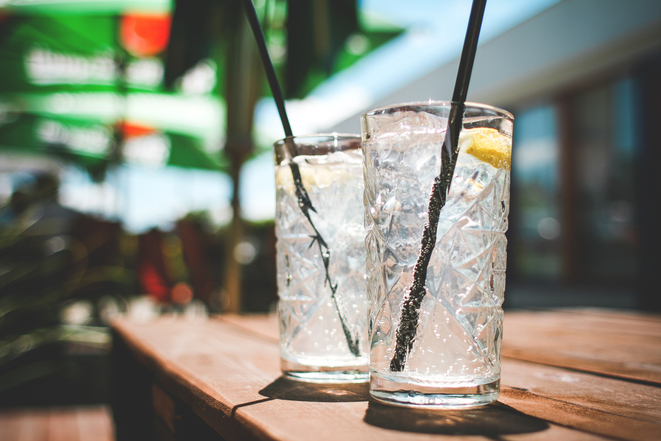 It has to be the perfect Sunday-sesh-on-the-deck-bevvie. The combination is sweet/fresh/dry/earthy/citrusy all at the same time; the perfect compromise when it’s hot and you can’t tell if you want an ice-cold beer, fruity summer cocktail or a crisp white wine. Very soon the days will be getting longer instead of shorter… bring on summer!